Every November, Canadians remember the men and women who have served in our armed forces to preserve our country’s freedom and independence. This year marks 100 years since the end of The First World War, also known as the Great War. This was one of the most far-reaching and traumatic conflicts to befall Canada. When Britain declared war in August of 1914, Canada entered the fray, sending volunteers oversees to support the Empire. Serving under the Canadian Expeditionary Force (CEF), servicemen arrived at the front to face the grueling realities of trench warfare and a state of combat never before seen. Life at the front was bloody and brutal, characterized by long periods of boredom mixed with intense episodes of terror. Although the war was fought across the globe, Canadian war efforts were primarily concentrated on the Western Front (France and Belgium), with Canadian troops seeing action at Vimy Ridge at the Battle of Ypres. The introduction of deadly new machines of war, the first use of chemicla weapons and death on an industrial scale, would forever change the lives of those fortunate enough to have survived. By the time the Great War ended on Nov. 11, 1918, more than 619,000 Canadians had enlisted in the CEF for the service overseas, accounting for nearly seven per cent of the country’s total population. More than 66,000 Canadians lost their lives during this conflict and more than 172,000 of those who returned home, did so wounded. Unfortunately, the First World War did not turn out to be “the war to end all wars,” however, its impact on the lives of millions was profound. 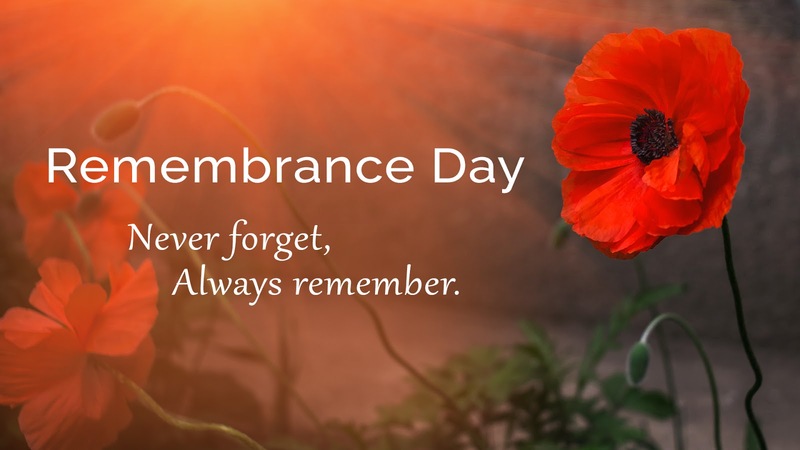 At the City of Vaughan, we remember the service and sacrifice of the men and women who have served Canada with honour and distinction. We are fortunate to preserve various records and artifacts documenting Vaughan’s contributions to the Great War in the City of Vaughan Archives. Once again, we are honouring their contribution and sacrifice by inviting all to write a personal message and share their thoughts of remembrance on paper poppies that will be displayed on the poppy wall in the atrium of Vaughan City Hall until Nov. 12 to honour all those who have served to preserve independence and freedom both at home and abroad. The community is invited to visit the City’s poppy wall between now and November 12 and to submit a message on one of the poppies provided and to add it to the wall’s thoughts of peace.